THE FERRY TO FRANCEOne of the most thrilling sights of the war--a convoy of transports approaching the shores of France. Not one American soldier, aboard a troop transport manned by the United States Navy, lost his life through enemy action. 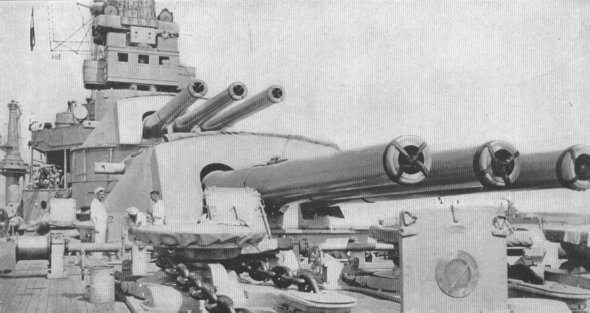 BATTLE WAGONThe monster guns of the U. S. S. Pennsylvania. Five American battleships joined the British Grand Fleet. 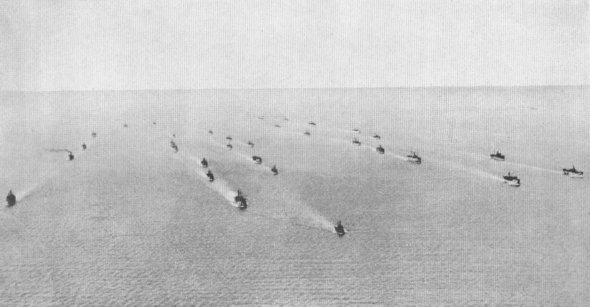 The rest of the fleet, including the Pennsylvania, remained to keep open the lanes between America and Eruope.